24 7 News Net - 30,000 EVACUATED in Knoxville! Another HIT for Nikkee! 30,000 EVACUATED CHEMICAL SPILL KNOXVILLE! Goddess Nikkee is fast becoming the talk of the Net. Day after Day another Headline seems to appear that connects to her recent PROPHECIES! Last week the Prophetess Goddess Nikkee WARNED that there would be FIRE AND GAS AND CHEMICALS in a Prophecy. Then a major explosion at a Chemical Plant rocked the town of FREEPORT Texas. Now today the HEADLINES are over 30,000 EVACUATED due to a chemical event near Knoxville Tennessee! 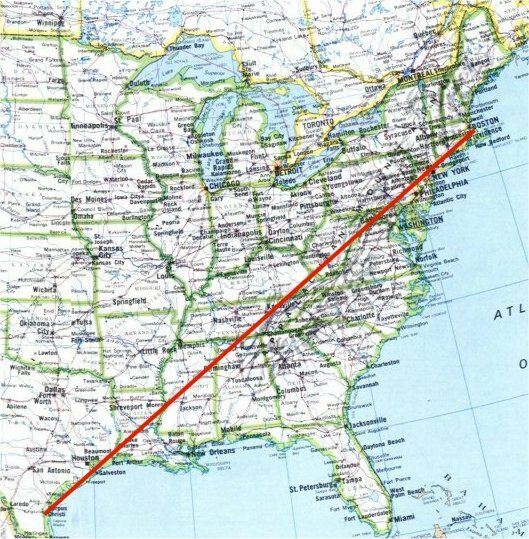 The most amazing thing about these events is that when they are connected on a map of the USA to Elizabeth New Jersey where a MAJOR NUKE SCARE occurred last week, the three locations form a perfectly straight line. This line of TRAGEDY was detailed in 1995 by the husband of Goddess Nikkee who is perhaps the most famous living prophet in the world. His name is Sollog. In 1995 Sollog explained how a LINE OF TRAGEDY runs from Boston through Corpus Christi Texas. In 1995 Selena was murdered on that line. Many other events hit the LINE from Boston to Corpus Christi. Including several religiously motivated murders. John Salvi the good old catholic boy from Boston murdered several in a Boston abortion clinic in 1995. A bunch of murders occurred near ALLENTOWN in Pennsylvania in 1995. The SKINHEADS killed their family as did Jeffrey Howorth. The chemical tanker that was involved in the Knoxville event just happened to have left ALLENTOWN Pennsylvania the other day. Anyway, fans of Sollog know all about THE BOSTON LINE since it was featured in several books by Sollog. Goddess Nikkee is about to appear on a radio show with Sollog. Some idiots in Usenet are making the same old lies up about Sollog. Some are saying Goddess Nikkee is Sollog. The same morons said I was Sollog. If you look in our archives you will see an interview I did with Sollog that is available in REAL AUDIO. I'm not Sollog and neither is Nikkee. THE MORONS that say such stupid things are, well you know, MORONS. Chemical plants have sure been IN THE NEWS since Goddess Nikkee wrote about FIRE AND GAS and CHEMICALS in her amazing PROPHECY. You can view THE NIKKEE PROPHECIES at Goddess Nikkee's web site. Look for my new book this fall. I've been hired to write THE NIKKEE PROPHECIES by Adoni Publishing. Keep up the great work Goddess Nikkee, THE MORONS need to hear your warnings.